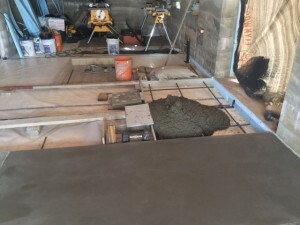 I poured the concrete floor in 25 sections. Five section per room and hallway. The concrete mix is about 4000 PSI and it’s heavily rebarred. After 8 months, no cracking whatsoever. I only wish I would’ve kept it wet longer. Concrete likes a little bit of moisture as it cures. The longer you keep it moist, the stronger it gets. 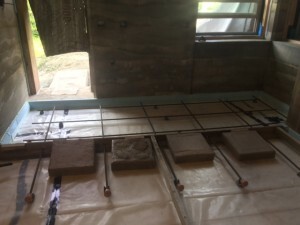 I toyed with the idea of creating a rammed earth floor and did a test outside. The test was successful, but too time consuming to create. 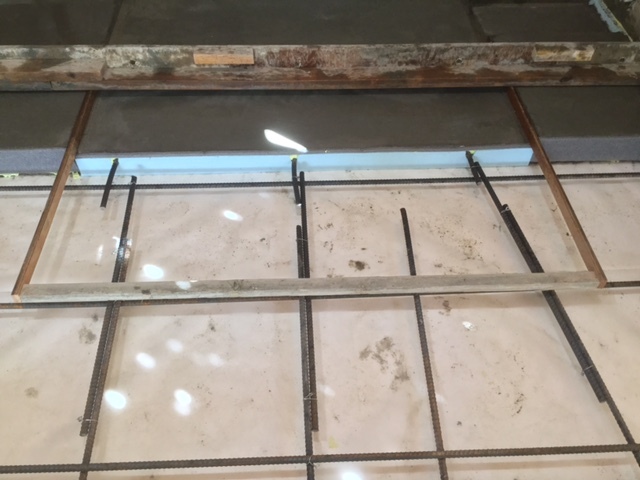 And not quite as smooth as poured, troweled concrete. 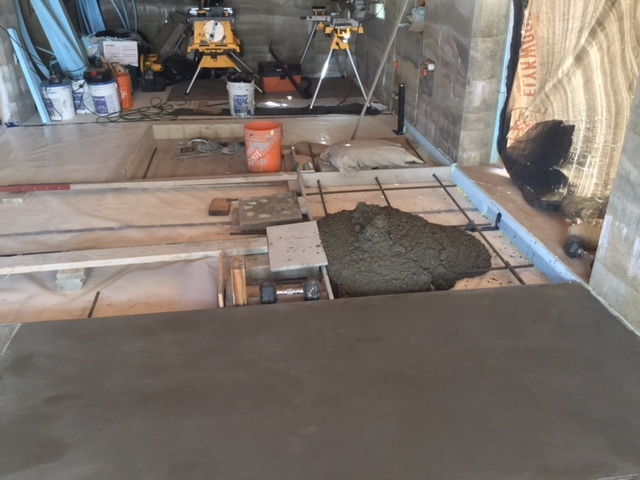 My first concrete pour for interior. I have no idea what I’ve gotten myself into. Everyone says I’m crazy to do it this way. 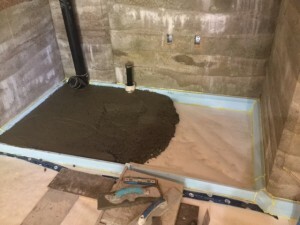 Office bathroom poured in section to allow for future development of shower drainage. That’s what a lump of concrete look like before being troweled. 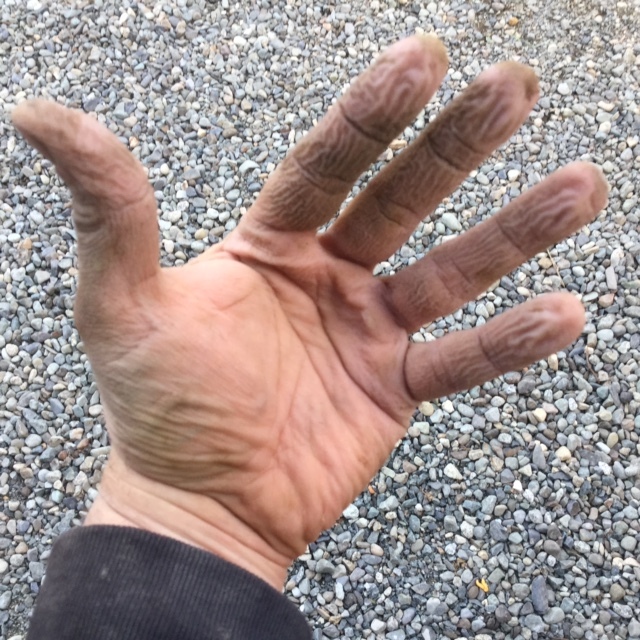 This is how your hands looks after working with concrete and not being well protected. Doing some tricky form work to pour kitchen concrete floor and make room for future electric floor heat. 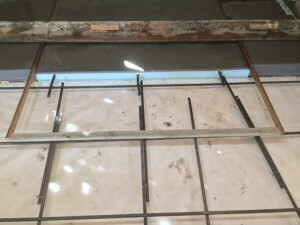 Notice how the rebar extends through the forms into the next pad. I drilled no holes. 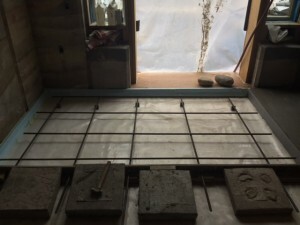 All forms were supported with weight or wood. It was rather tricky. Each pour was unique. But it worked fantastic. Pour sections in sequence so the poured edges act as a form for the next section. 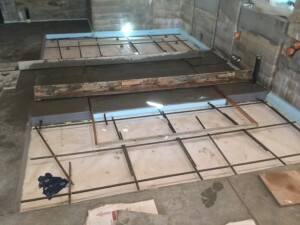 This storage room is halfway in between. 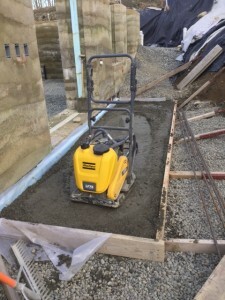 Essentially, I dumped two or three wheel barrows of cement that smoothed it up. 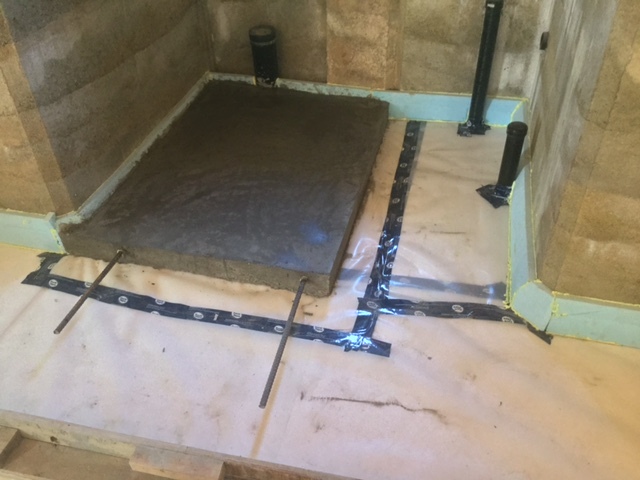 This size of pad was easy at 28 sq. ft. But over 60 sq. ft. was tough. 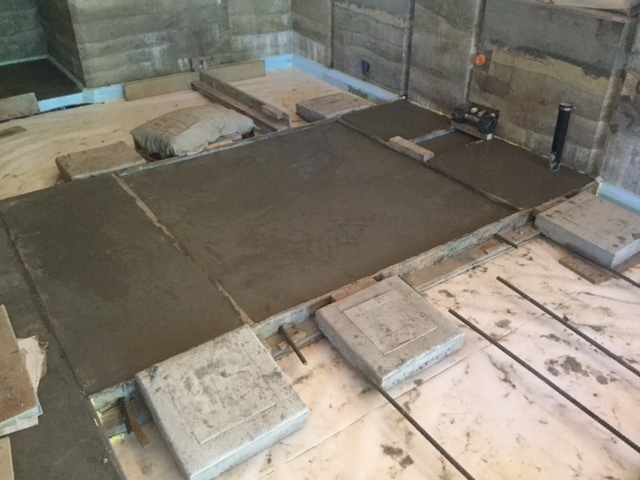 Cement on the first pour was drying before the last pour. Tricky getting it smooth. 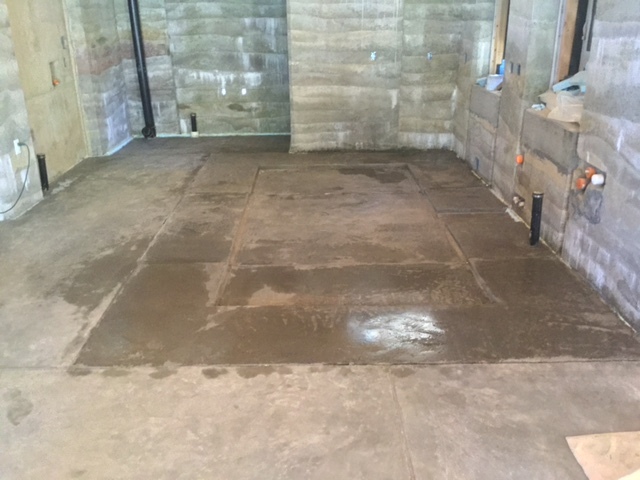 Concrete floor in kitchen with lower level for future electric floor heat.